Cryptocurrencies had been under heavy pressure on Thursday, March 15th 2018, some of them dropping as much as 13% in the case of Dash. At the time of writing, Bitcoin is down 10% and Ethereum is also down by approximately 11.45%. The cryptocurrency market cap was also down significantly, from $372.9 billion to $310.4 billion. Considering that at the end of 2017 the market had almost reached $1 trillion that is quite a disappointing news. What are some of the reasons behind the sharp drop? Probably the most important negative news came from Google, which had announced plans to ban all advertisement for cryptocurrencies, wallets and Initial Coin Offerings. That is a huge blow, especially for ICO initiators, who are now unable to advertise their funding programs on the most famous search engine. Another key news that contributes to the drop in cryptocurrencies was related to Mt Gox, a company that went bankrupt back in 2014. The company still had some Bitcoin which it had to sell in order to pay back its creditors. There is quite a negative sentiment in the cryptocurrency market, as the 2017 euphoria is vanishing. There are raising concerns about ICOs as well. Recently, CNBC had reported how ICO scammers managed to make over $2 million by fooling investors. Regulation concerns still weight on the price as countries like the United Kingdom and the United States already announcing steps towards cryptocurrency regulation. All the reason stated above act like a chain reaction, making investors cutting their losses, or banking profits if there are some who are still long following last year impressive rally. Cracks in the cryptocurrency industry are now showing up and it will be interesting to watch how the market will change over time. In a year from now, the things will most likely look different, with probably a regulatory framework in place and new features as well. 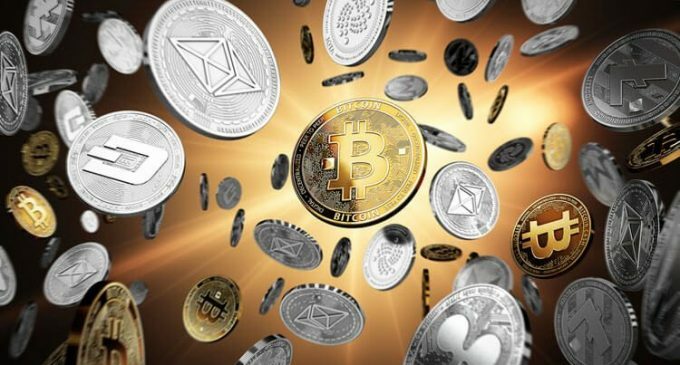 We’ve anticipated the cryptocurrency market drop in our last weekly crypto analysis and we expect the prices to continue to fall in the near term. Make sure to check our analysis in order to see the key levels to watch.